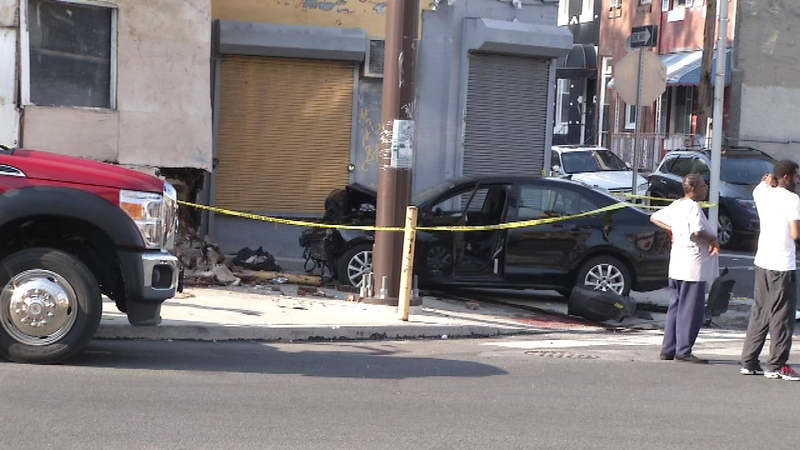 Pictured: The scene of a crash at 19th and West Lehigh in North Philadelphia. 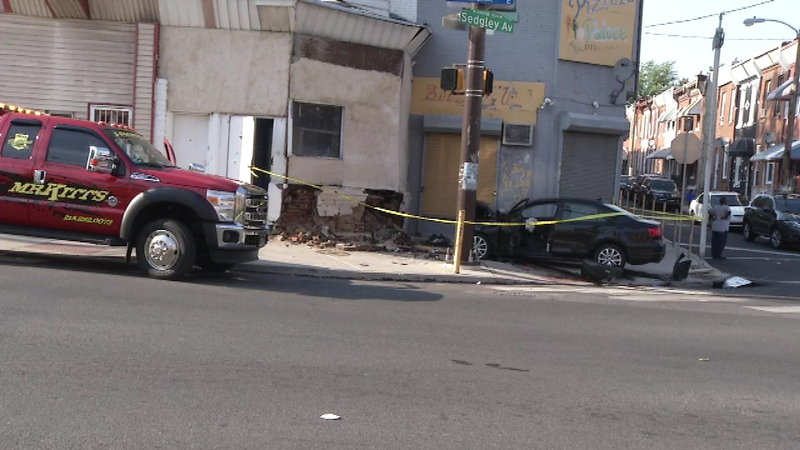 NORTH PHILADELPHIA (WPVI) -- A child was struck by a car after it was involved in a crash with another vehicle on Saturday afternoon in North Philadelphia. 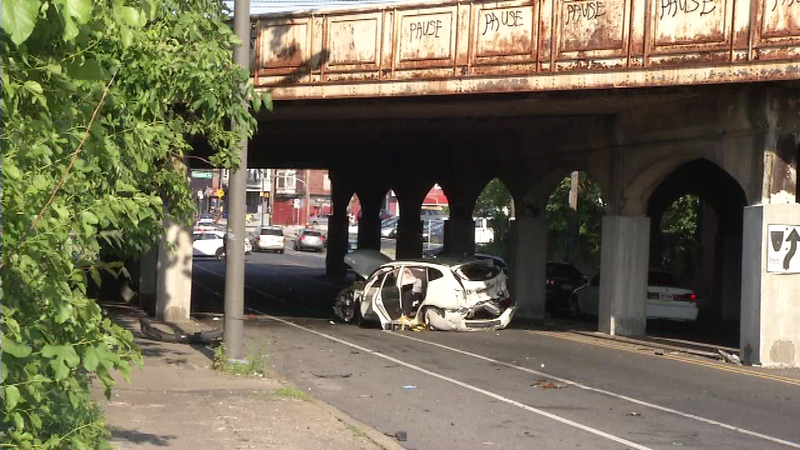 The crash happened at 19th Street and West Lehigh Avenue around 4:50 p.m.
Police say the 28-year-old male driver of a Volkswagen struck a Nissan, then left the road and hit an 11-year-old boy. That child was rushed to the hospital and is now in stable condition. 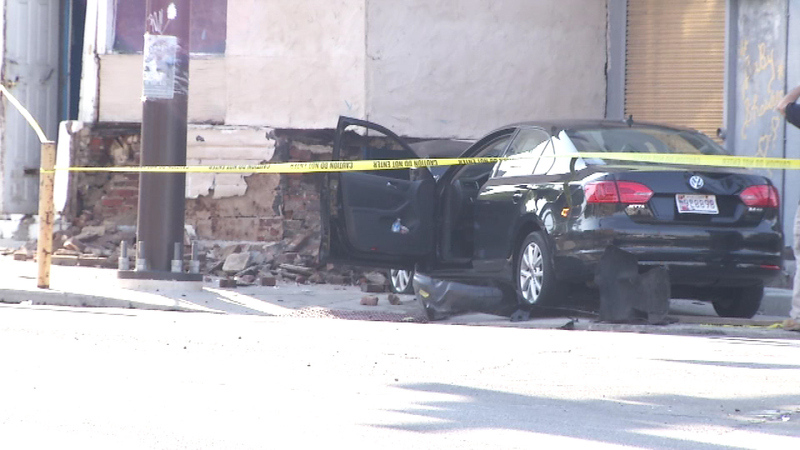 A boy was hit by a car that had just been involved in a crash. 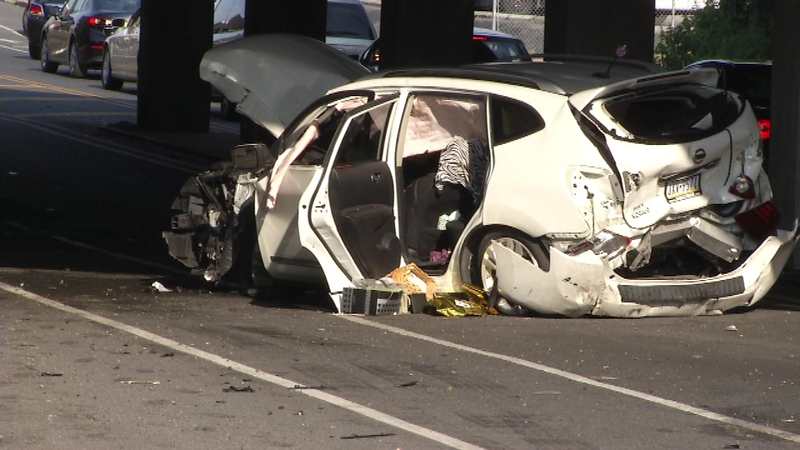 The 52-year-old woman driving the Nissan is hospitalized in critical condition. 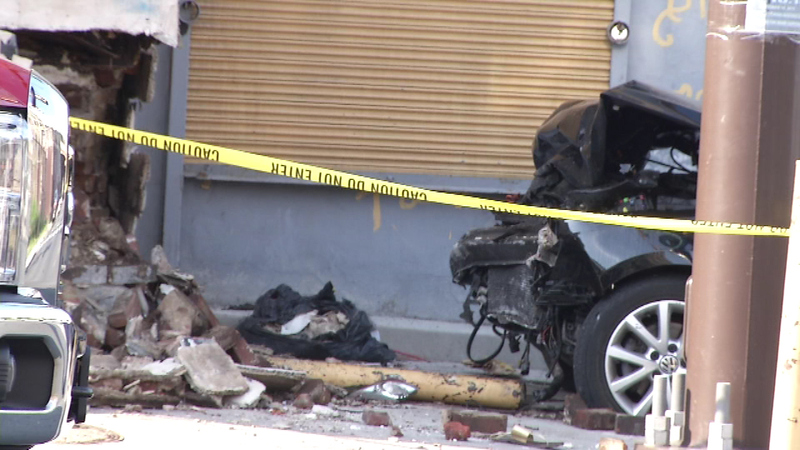 The driver of the Volkswagen suffered minor injuries. 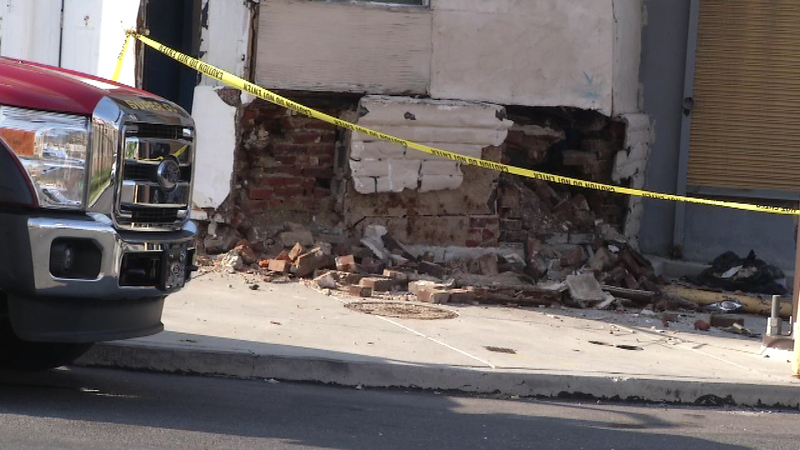 L&I was called because one of the vehicles also struck the building at 1915 W. Lehigh.